A guy, one of those who knock on your door asking if you have something to spare, approached me at the front door. He didn’t smell like booze, nor did he look high. He was sober and straight in his appeal. Any clothing, a coat or a pair of shoes would be helpful. He was ragged and cold. He had half his foot sticking out of his terrible shoe. I felt sorry for him. That wasn’t social or religious guilt. I remembered the old shoes I had put aside the very last winter, all beat up and seeking refuge on the shelf. Brown leather. All faded, worn out and other common adjectives that indicate long-term use. At least it was in better condition than the guy’s damaged shoes. God forgive me for comparing my belongings to those of the beggar’s. Beggar, pauper, a reservist at the army of hard labor… I have no idea how to call someone, in a politically correct way, who begs door-to-door. I promised I would take a look. Two steps up the stairs and I told myself that was the right thing to do. Why should I keep an unused pair of shoes when there’s someone in need outside? I put them in a plastic bag. As an extra gift, I threw in a sweater full of fuzz that had been waiting for my razor-blade cleaning. He took the donation, peeked in and continued ringing my neighbors’ doorbells. What? Won't he put them on right now? You know, they're waterproof, man! It’s raining, isn’t it? I said nothing. That ate me up inside. The worst thing is that I don’t know how to do charity anymore since my Utopian socialist days back in the university, when I was still living with my mom. After all, it’s the government's duty to end inequality or face an armed uprising. I got upset with such lack of gratitude. I was expecting nothing short of an euphoric response. So, I decided to keep myself calm and under control. That didn’t belong to me anymore. I tried to see the incident with poetic lyricism. That would represent a survival. I would keep walking down the streets of Satolep in the feet of a lonely walker. Then I had an insight. It was his uniform. It must be. He wore those ripped clothes so he could make the dominating class feel bad. And if there was food, he added, he would accept it as well. Oh, no, man, stop it! What is that?! I already gave you my best shoes and a practically new sweater. Ok, I didn't really say it like that, but I mumbled something. An idea hit me while I was climbing up the stairs again. That crazy guy is going to throw my shoes away. Maybe he didn’t like them. What if I asked for them back? What if I said I promised to give them to a relative? No. I've never been a good liar. I’d miss some details. I had to satisfy myself with the uncertain fate of my shoes. It’s the fetish of the merchandise. It blinds you. It's impressive how I held on to those pair of walkers. Super soft. Why didn’t he put them on? What was he doing? Some primitive shoe accumulation? I came back with pack of polenta and the longest face in the world. He wasn’t there anymore. He was walking towards Donja, carrying a bag full of charity from others. I squinted and could see that one of his big toes was still peeking out of his shoe. A fellow from college used to say we must not make donations or give any kind of assistance, because it only delays the revolution. He is the same friend who later on said that the only revolution he'd like to make was in his bank account. The poor will always be among us. Or will they? Márcio Ezequiel was born in 1972 in Porto Alegre, State of Rio Grande do Sul. He has a Master's Degree in History, with emphasis on 19th Century Road Literature from the South of Brazil. He writes chronicles, short stories, and micro stories. Some of his writings have received awards and were published in literary collections. He also writes a column for Diário Popular and Radiocom, respectivelly a local newspaper and radio station newsite in Pelotas, Rio Grande do Sul, where he currently lives. 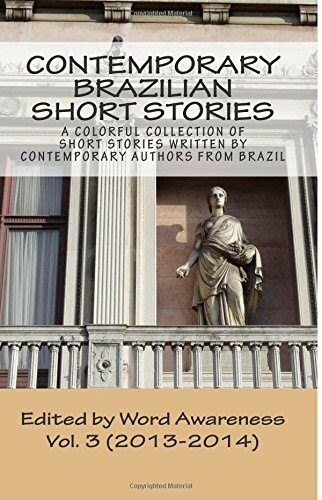 He is the author of "Leia antes de jogar fora" [Read Before Throwing it Away], a collection of chronicles he published independently. To purchase a copy of the book [in Portuguese] and learn more about his work, visit his personal blog Marca Diabo [Devil's Mark].